Reflect on the beauty of our Blessed Mother with this wonderful collection of Marian songs from Jesse Manibusan. 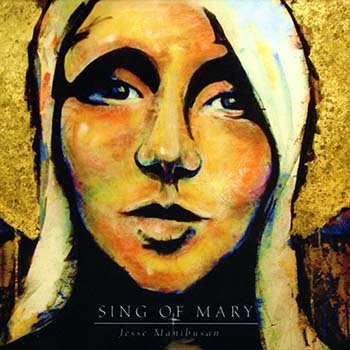 A delightful musical expression of true Marian devotion, this collection from Jesse Manibusan offers songs that honor Mary as the Mother of God and also—and essentially—the First Disciple of Christ. Working closely with acclaimed Catholic composer and musician Tom Booth on the songwriting and producing, Jesse brings us 11 songs in a range of musical styles that vary from soft and reflective to a full-out band sound. Offering inspired music for Marian feast days, May crownings and the like, this collection can also serve as a general resource for catechesis on Mary. The enchanting "Ave Maria" and "Ave Maria Litany" both honor the many experiences, titles and cultural connections of Mary, paying homage to other countries and how they refer to her. In "Mary—Memories and Reflections" Jesse opens up about his experience of Marian devotion and how he came to develop such a special relationship with Mary. Spontaneously composed and recorded as they tracked the collection in the studio, "Shining like the Sun" is an inspired instrumental song from Carl Hergesell, who joins the list of other renowned collaborators, including Steve Angrisano, Sarah Hart and Eric Webster. For those who already have a relationship with Mary or anyone who simply wants to know more about our Blessed Mother, Sing of Mary is a joy from one of today's most relatable contemporary composers.